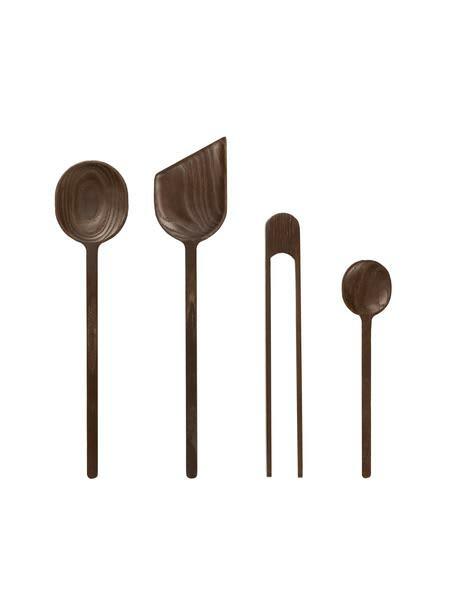 Delightful set of kitchen tools in carbonised ash from ferm Living. Presented in chef knives style in a rolled cloth that can be tied to protect the tools in your drawer. The Tomo kitchen tools with storage bag consists of two spoons, a tongs and a spatula.